We are delighted to announce that we have been selected by Enterprise Ireland to be part of the prestigious Innovation 4 Growth program following our participation to the Go Global 4 Growth program. Innovation 4 Growth program is a world-class program designed for CEO’s and their top team. The objective of the program is to support innovation in the company’s business in order to create new business models, products, services and processes that will add value to the customers. “Innovation and the pursuit of new business opportunities are fundamental to the growth of a business; they provide the catalyst for economic enhancement, organizational advancement, and ultimately enhance shareholder value. ASL’s participation in this program will advance both its mission and business interests in a mutually reinforcing manner.” said John Ryan, ASL Chief Strategy Officer. 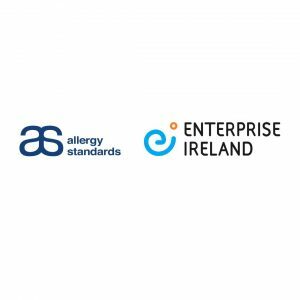 “Innovation is a core principle within Allergy Standards, so we are delighted to be taking part in this important strategic initiative. Central to our innovation goal is our Client Services Portal and the unique insights we will gain by completing the Innovation 4 Growth Program will make for a more focussed solution for our customers, retailers, laboratories and partners.” Said Dave Morrissey, CIO. ASL team is very proud to have been selected to this prestigious program organized by Enterprise Ireland and looks forward to engaging into this ambitious journey.